Mohawk Memory Foam Bath Mats Just $5.94! You are here: Home / Great Deals / Black Friday Deals / Mohawk Memory Foam Bath Mats Just $5.94! Kohl’s Black Friday Sale is now LIVE online right now! You can get an extra 15% off rock bottom prices when you use promo code: NOVSAVE15 at checkout (Ends 11/25). You can also earn $15 in Kohl’s Cash on every $50 spent (you can redeem you Kohl’s Cash11/27-12/5)! 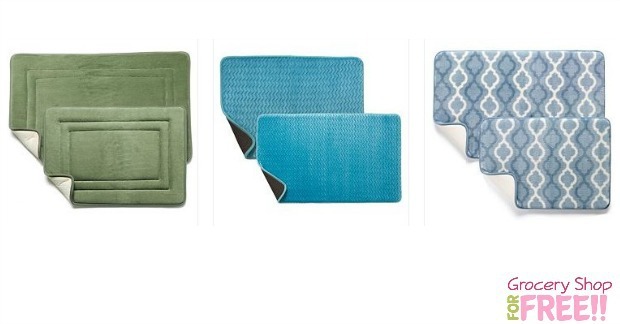 You can get these Mohawk Home 17″ x 24″ Memory Foam Bath Mats for just $5.94 PLUS FREE in-store pickup! Final: $5.94 PLUS FREE in-store pickup! Final: $9.34 PLUS FREE in-store pickup!